TruckJee is an online platform allowing organizations to hire trucks online! We make truck hiring as simple as booking a movie ticket online! We are an online truck market facilitating turck hiring through our portal which has created the infrastructure to identify, track and access trucks online. TruckJee has taken great efforts to ensure that every truck hired through the platform meets the basic road transportation fitness criteria. Our intelligent platform allows hirers to track their trucks in transit and rates the trucks based on their performance. Our dashboard helps you to carry out business transactions at your leisure. We have crafted a system which eases your truck hiring experience. Every transaction happening on the portal is confined between the two participating parties. Transactions are only visible to you, unless you decide to share it. From Jammu to kanyakumari, We offer fast, reliable and accurate nationwide truck connectivity directly to your doors, factory and warehouses. After filling out our basic requirement form online through your dashboard, eligable truck vendors are automatically notified about your indent and would respond with their quotes for your requirement. From your list of quotes, select any vendor based on their quoted rate or their performance. TruckJee will confirm with these vendors and generate a transaction. TruckJee will ensure that the truck you selected reaches your loading point at the date of your requirement. You can also track this truck after vendor confirmation till transaction completion. TruckJee facilitates online truck hiring. TruckJee does not take part in any of your transactions. The business decisions are at the comfort of the participating parties. and TruckJees aims to create a transparent platform for communication and business generation between the parties. Higher quality service by optimizing transport routes, means of transportation and reducing costs. Access to a large pool of verified trucks across the country waiting for business. 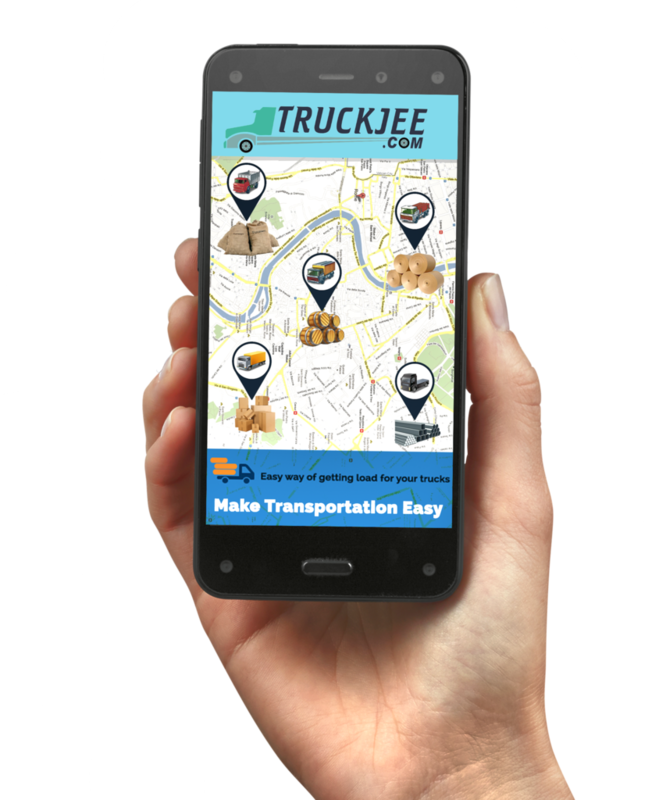 Trucks hired through TruckJee have GPS Tracker installed which allows you to track your cargo online. Strong optimized auction system that will make a competitive advantage to your business. Synchronized bidding process which ensures best rates from multiple business owners. Hassles of collecting and distributing balance payments are reduced and are systematically processed. Reduce the amount of stress and phone calls by shifting to our online transportation ERP which is a one stop for all your transportation needs. We promise to get back to you at the earliest!